Medium: Toned Silver Gelatin Print on Fiber Paper with a softbound book. There is something about clouds that capture our imagination. In Ken Rosenthal’s photograph, Equus, we see the shape, imagine the form, of a horse comprised of the same ethereal condensed vapor it is galloping from, mane flowing, captured for a fleeting moment before it dissipates and disappears. I remember lying on my back in the grass as a boy, surrounded by friends, looking straight up at the sky, pointing out each cloud overhead, calling names of things we saw in their changing shapes – hand, face, dog. We would lie on the ground for what seemed hours, but in reality was only minutes, laughing, dreaming, before we rose, bare legs and arms itchy from the grass, to follow another pursuit. How often have we, as adults, taken the time to lie in the grass, surrounded by friends, looked straight up at the sky, pointed out each cloud overhead, given names to things we saw in their changing shapes? This entry was posted in Books, Prints on November 30, 2013 by Ray. Mark your calendars for Art Intersection’s Annual Silent Auction 2013, December 7th, 5-8pm. Visit the gallery to view the prints, artworks, and other auction items from November 2 to December 7. Final bids are on the evening of the silent auction. Or, you can purchase at the “Buy it Now” price prior to December 7. 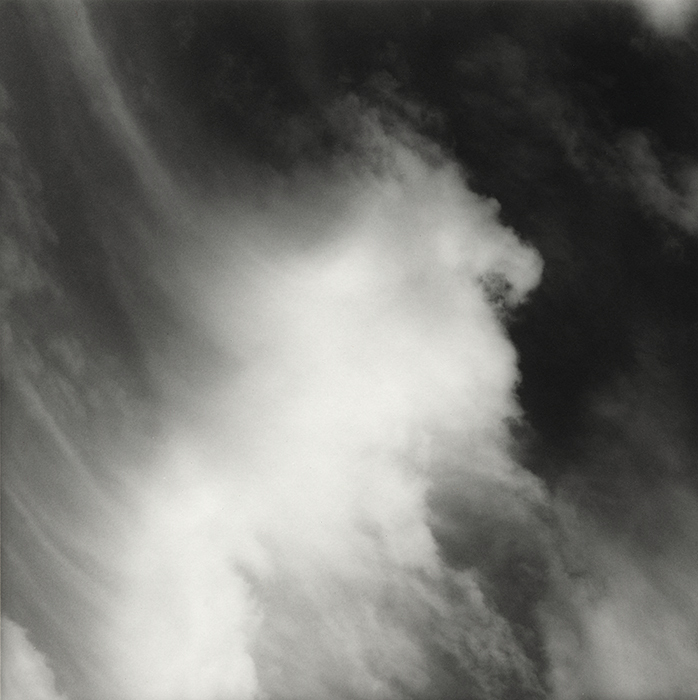 In addition to my print, “The Sun’s Arc Overhead – 30 July”, which can be seen above, there are prints by well-known photographers, such as Allen A Dutton, Mark Klett, Binh Dahn, and Imogene Cunningham, to name just a few. Go to the Art Intersection site to see a slide show of the work available. Here’s a list of artist’s work available and the “Buy it Now” price. This entry was posted in Exhibits on November 19, 2013 by Ray. 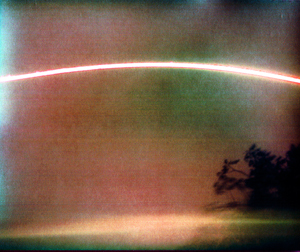 My pinhole image, The Sun’s Arc Overhead, has been selected for lenZless at Plates to Pixels by Zeb Andrews. See my previous post for information on how the image was made. Selected images will be posted on the Plates to Pixels site. The online show will go live on the site this weekend and will run until January 2014. An exhibition catalog will be available for purchase — proceeds from sales of the catalog go straight to website operating costs and advertising for platetopixels.com. This entry was posted in Publications, Uncategorized on November 14, 2013 by Ray. The Sun’s Arc Overhead – 30July, a pinhole photograph, can be seen on the top of page 2, Issue 2 (October) of The Hand Magazine . This photograph is a 39 hour exposure made with a homemade pinhole camera and a paper negative. The paper negative is Ilford MG Fiber-based paper which I’ve cut to about 4″x5″ from an 8″x10″ sheet. Once I’ve exposed the paper, I scan it into my computer and process it through Photoshop. My “camera” is a cardboard box, which appears to have been at one point, a gift box. The lens is a pinhole in a piece of thin aluminum taped over a hole in the lid of the box with black electrical tape. The interior of the box is painted black. And, after paper is inserted inside the box, the edges are sealed with black electrical tape. I’ve found good tape must be used, or in the summer heat, especially here in Phoenix when it can reach into the 120s (Fahrenheit), that other tapes come unglued. The box is 6″ tall x 4.25″ wide x 4.25″ deep. In Photoshop, I crop to size, then invert to make a positive image, then flip it horizontally or vertically, depending on the shot. At this point, the image, if exposed for a sufficient time, is murky shades of gray. Short exposures will look almost solid white when scanned, almost solid black when inverted. From there, I make adjustments, which vary from image to image, but generally, I make the following adjustments: brightness/contrast, levels, curves, exposure, vibrance, hue/saturation, and color balance. I use Photoshop CS4, so earlier or later versions may have other adjustments available. When making adjustments, I generally go through them in the order I listed above. I adjust the image to what appeals to me at the time. It’s not unusual for me to make multiple versions of the same image, each with different outcomes. I find the predominate colors are either in the blue or red spectrum. But, that may be partly due to my preferences as I adjust. One of the aspects of my images is the “multiple exposure” look to some of them. That’s because I only put the paper inside the box. There’s nothing to hold it in place. So, in extreme heat it tends to curl. Some of my longer exposures are a week long. Also, because it’s a cardboard box with no weight, if it’s not weighted or tied down, the wind may move it. For one of the shots, I had wedged the camera in the V of two branches, but the wind blew it out, I’d put it back, it’d get blown down, etc., for a full week. It made an interesting image. It’s a fun experiment and that’s what photography should be sometimes. Stop being so serious. So go out there and have some fun. More of my pinhole images can be seen here. This entry was posted in Publications on October 29, 2013 by Ray. Comments submitted to this website may be rejected, approved or edited by Ray Carns at his sole discretion. * It helps to prove that you’ve read the article by actually referencing something related to the article. This entry was posted in Uncategorized on October 27, 2013 by Ray.